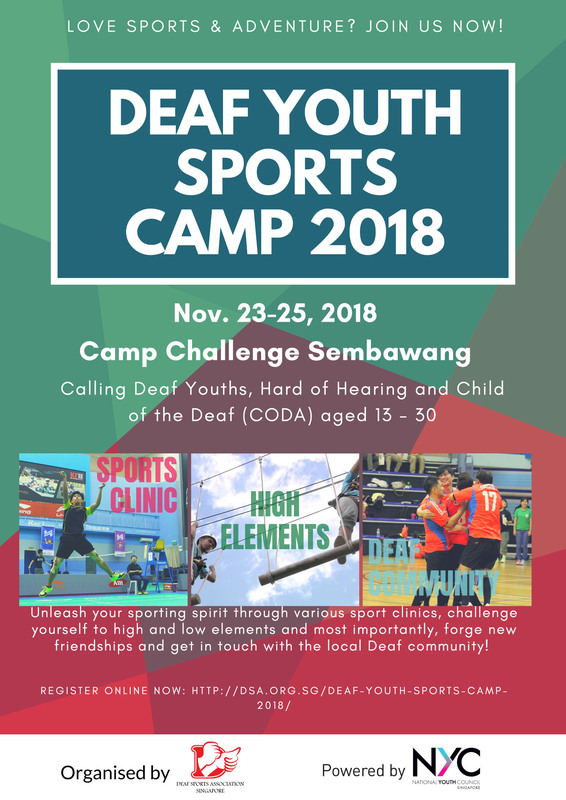 The Deaf Youth Sports Camp will be conducted as a 3-day, 2-night event (23rd to 25th November 2018), which targets Deaf youths who indicate an interest in both sports and developing a deeper understanding towards the Deaf culture and community. This camp will be held at the Sembawang Camp Challenge Adventure Training site. This inaugural event aims to cultivate and strengthen participants’ character traits such as teamwork and determination, through both games and challenges. The camp will also serve as a platform for participants to develop their leadership capabilities, and hone their self-confidence. For information on the audiogram test procedure, please click here. PreviousWelcome home our Deaflympics heroes! Welcome home our Deaflympics heroes!